The Masters and Doctoral graduate programs in the Department of History are designed to prepare students for careers in higher education, research, and public service. The Doctoral program offers concentrations in European History; United States History; Military History; and Body, Place, and Identity. We offer a wide array of financial assistance to graduate students, including Teaching Assistantships, a Tuition Benefit Program, and several departmental Graduate Scholarships. For more information on support, see Funding Your Graduate Education. Graduate classes normally include about eight to twelve students, enabling each student to receive close personal attention from the instructor. Most classes fall into two categories, "studies" courses and "seminars." Studies courses generally include extensive reading assignments on the course topic and substantial writing assignments. Seminars are designed to teach the student how to conduct research in original sources (e.g., letters, diaries, newspapers, census records, etc.) and how to organize and present the results of that research to a wider audience. In addition to formal classes, other opportunities for learning are readily available to graduate students. Several speakers of national and international stature address faculty and students on a variety of topics each year. An Internet mailing list for the department's graduate students posts, notices of deadlines, scholarship opportunities, job openings, and other general information about graduate work in history. A strong chapter of Phi Alpha Theta, the national honors program for students of history, organizes scholarly and social events and sponsors a banquet and prominent speaker each spring semester. In addition, faculty members hold regular office hours each week and make themselves readily available for individual consultation with students, during office hours or at other times convenient to the student. Many graduate students also participate in regional and national historical conferences by presenting the results of their research to audiences of fellow professionals, and some of them publish their work. Students who take advantage of the opportunities offered in the graduate program -- whether formal courses, individual instruction, organizational activities, or addresses by visiting lecturers -- will find graduate study at North Texas exciting, stimulating, and highly informative. Certainly, they will be well prepared to think and function as historians. This specialization is centered on both chronological and topical areas. Chronological areas include: Colonial & Revolutionary, Early National Period, Civil War & Reconstruction, 19th Century, and 20th Century. Topical areas include: Local, Texas, Spanish and French Borderlands, Old South, New South, American West, African American, American Indians, Mexican American, Women & Gender, Environmental, and Military. This specialization is centered on both chronological and topical areas. Chronological areas include: Ancient, Medieval, Renaissance, Reformation, and Revolutionary Eras; 17th- & 18th-century, 19th-century, and 20th-century history. Topical areas include: Classical Greece, Classical Rome, 17th & 18th century Britain, Modern Britain, Modern France, Modern Germany, Russian/Soviet Union, Military, and Women & Gender. Students focusing on military history may want to apply to become Student Fellows of the Military History Center, an international leader in the field. Military students study, analyze, and discuss the history and future of warfare in every era and culture inthe following areas: Ancient World, French Revolution & Napoleon, Modern Germany, American Revolution, American Civil War, World War I, Korea & Vietnam, World War II, Cold War, Military Theory & Strategic Thought, Revolution & Insurgency, and American Military Culture. This unique specialization is organized around thematic fields of study, rather than fields defined primarily by region or period. It emphasizes the methodologies of cultural and social history as tools for understanding the complicated connections between historical actors and the communities and landscapes they inhabited. The concentration highlights how bodies, places, and identities are fluid historical categories that are mutually constituted. In addition to researching and writing about the past, students in this concentration will also learn how to critically interrogate the production of historical knowledge and will be encouraged to explore the significance of their scholarship across multiple fields of intellectual inquiry. Students interested in any geographical or chronological topic may pursue this concentration. Applicants should read the Toulouse Graduate School website before applying - http://tsgs.unt.edu/admissions/programs - Official transcripts and GRE scores must be sent directly to the Toulouse Graduate School. 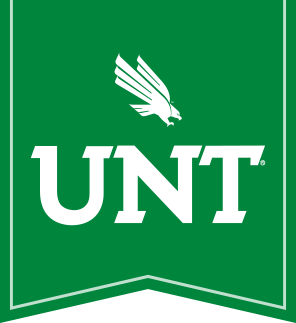 Applicants may submit additional application materials (statement of purpose, recommendation letters, writing samples) electronically to the Graduate Program Assistant at HistoryGradProgram@unt.edu, or by mail to - Graduate Program Assistant University of North Texas - History Dept. 1155 Union Circle #310650 Denton, TX 76203-5017.